The Malaysian legendary ultramarathoner, Mr Ng Seow Kong, who has completed numerous ultramarathons in the world including "the world toughest foot race", the Badwater 135 Ultramarathon, will be participating in the 100km of Penang 100. As of 10th May 2014 he has completed 111 marathons/ultramarathons covering 7 continents + North Pole, 32 countries and 61 cities. In addition, he has 4 records in the Malaysian Book of Records, "First to complete the Antarctic Ice Marathon", "First to complete the World’s Highest Marathon", "First to complete Marathon Grand Slam" and "First to complete the North Pole Marathon". We are very pleased to welcome his participation in our inaugural event of Penang 100. 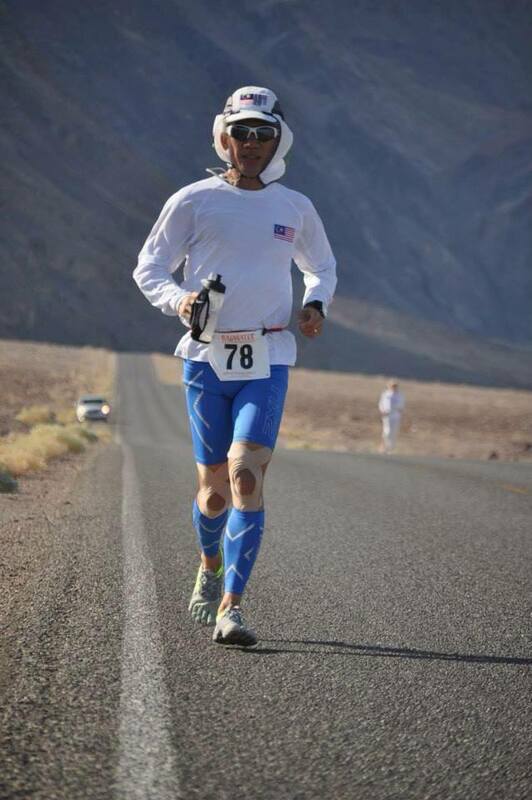 Completed world toughest foot race Badwater Ultramarathon of 135-mile with elevation of 8,360 feet and temperature up to 55 degree C in Death Valley, California, USA. 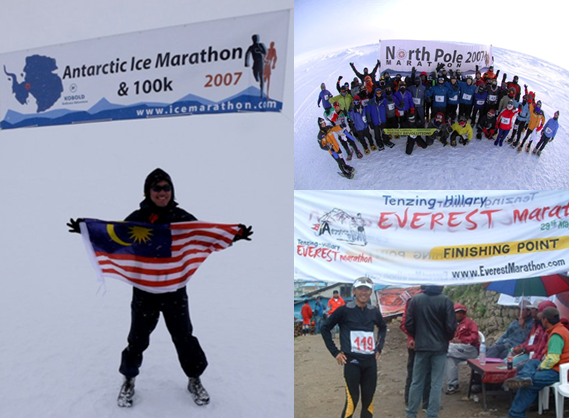 Marathons on 7 continents and North Pole on 5 October, 2008 ~ The 29th member of Grand Slam Club. Runner-Up for the 2012 La Ultra-The High in Himalayas of 222km in 42 hours 5 minutes.